You will be eligible to attend your graduation ceremony if you have successfully completed your studies prior to the date of your ceremony. Students who successfully complete resit examinations in September will also be able to attend the ceremonies. General Data Protection Regulations mean that we are only able to discuss personal and individual student related matters with the student. Graduation Office staff are not at liberty to divulge information or take instruction from a third party, even if that third party is a family member. As a graduating student, even if you will not be attending a graduation ceremony, your name and course details will be published in the souvenir graduation programme and in the local newspaper. Please note your degree classification will not be published and it will simply be your name listed underneath your programme title. If you would prefer for your name and course details to be omitted from any or all of these then please email gradlistingsoptout@plymouth.ac.uk so that we can remove your details from the relevant publication. 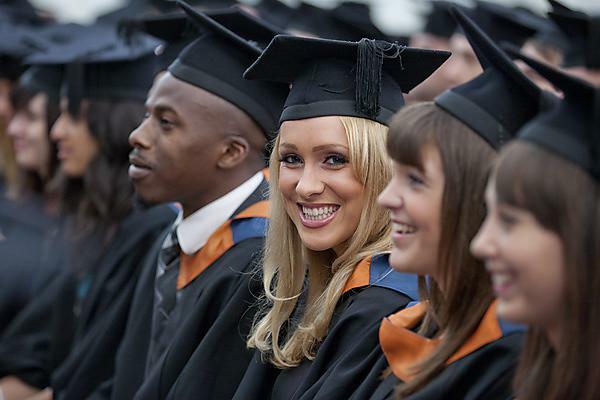 If you have outstanding tuition fees you will not be permitted to attend your graduation ceremony, nor will your award certificate be sent to you until such time that the debt is settled in full. Graduation booking will open on Thursday 1 August. Please clear your debt before this date as failure to do so may result in reduced guest ticket availability. In order to attend your ceremony you must have cleared your debt by Friday 16 August. If you are unsure whether you have an outstanding debt, please email tuitionfees@plymouth.ac.uk with your full name and student registration number. If you chose not to attend your graduation ceremony and you have not already received your certificate, your award documentation will be posted to your home address during the month of October. Please make sure you check that your home address details are correct on the student portal. University of Plymouth graduation ceremonies are considered to be public events. There may be a university photographer present and by attending you give us permission to use any general crowd photos you appear in on our website or for marketing purposes. The ceremonies will also be filmed, and will include crowd and individual shots of graduating students and their guests. A DVD of this footage will be produced for sale and also used on our website or in promotional materials. By attending the event you and your guests consent to this taking place.